Park City Library and Education Center patrons will have a chance to perk up their day when the facility reopens. The renovation plans include space for a small coffee shop-café, something that the building did not have prior to the ambitious redo that is underway. 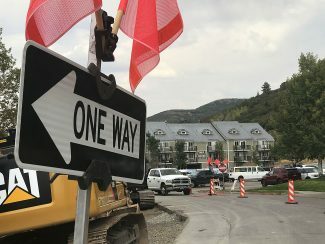 Park City officials are seeking an operator to lease the space. Proposals are due Friday. The coffee shop-café will be located inside what will be the main entryway to the building once the work is completed. The entryway will be on the north side of the facility facing the large field outside the Library and Education Center rather than the traditional entry on east side of the building. The space for the coffee shop-café — anticipated to be approximately 300 square feet — will have tables and chairs overlooking the field. The library in the past offered a small coffee cart and accepted voluntary donations. "We want people to be able to have what they need when they come to the library," Adriane Herrick Juarez, the library director, said, adding, "People did ask for a more formal place." A City Hall document seeking proposals from coffee shops-cafes indicates interviews with the interested parties, the review of the proposals and a recommendation are planned between Feb. 28 and March 6. 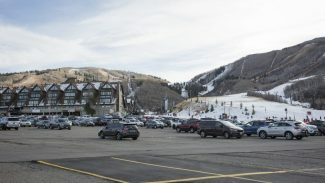 The Park City Council could review the proposals at a meeting on March 12. A contract-signing deadline is anticipated on March 31. 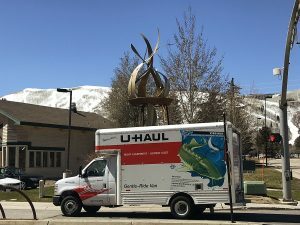 A committee consisting of members of the Park City Library Board, library staffers and staffers from other municipal departments will make the recommendation. The City Council is not bound by the recommendation. The schedule calls for construction of the coffee shop-café between April 16 and May 15 followed by a move-in period from May 16 until May 30. The opening day is set for approximately June 1, according to the schedule. The Library and Education Center reopening is set for about the same date. The municipal government had not received a proposal through midday Monday. Herrick Juarez said staffers on Friday showed the space to two locally based companies considering proposals. She did not identify them. City Hall wants to enter into a three-year lease for the space. City Hall asks that proposals include a statement about the operator’s experience, a rundown of the menu and prices, what hours the coffee shop-café would be open and a "statement of how you see the relationship between the restaurant and library being mutually beneficial." Officials also want details about rental prices a coffee shop-café is willing to pay. The document indicates City Hall could be interested in other terms, such as a percentage of profits, instead of a rental fee. The municipal government says the coffee shop-café, since it will be located outside the library, could open at different times than the library itself, "including early morning hours when residents are likely to stop by for coffee." The minimum hours officials desire are between 7 a.m. and 5 p.m. Mondays through Fridays, Saturdays from 8 a.m. until 4 p.m. and Sundays from 1 p.m. until 5 p.m. The selection criteria includes points like experience, the proposed menu, prices, familiarity with Park City and environmental efforts proposed by the coffee shop-café. The renovation, which forced the temporary closure of the building, is an ambitious redo meant to turn the facility into a 21st century library. The project is expected to cost $9.3 million. There will be numerous technological upgrades, more space for the collection and expanded community space.